Currently, I’m reading Clayton Christensen‘s book on marketing Competing Against Luck: the Story of Innovation and Customer Choice. The book’s basic argument is that consumers don’t so much buy goods or service but hire them to do a specific job. Successful product development and marketing requires the seller understand what job the consumer needs to have done. Complicating this is that often consumers don’t have an explicit idea of what they hope to accomplish by purchasing the goods or services on offer. Christensen goes on to say that “No matter how frustrated we are with our current situation or how enticing a new product if the forces that pull us to hiring something don’t outweigh the hindering forces, we won’t even consider hiring something new.” For Christensen, there isn’t any “clearly defined job in which the emotional and social forces–and the forces compelling and opposing change–are not critically important” (p. 84, emphasis in original). Even as I write this I can hear people complaining–not unreasonably–that applying product development and marketing theory to the life of the Church is simply wrong. While I sympathetic with these critics, there’s an irony in their complaint. is that their criticisms actually lends credibility to Christensen’s argument. The criticism also helps us understand why we can, and should, apply Christensen’s insight to the life of the parish. They don’t want to hire a new servce to help with the evangelical and pastoral life of the Church. In a way, their criticisms actually lend credibility to Christensen’s argument; we don’t want to try something new even when (as I show in a moment) what we’re doing is failing. Change is simply hard. And change is hard even when we are being asked to leave something we don’t like or which doesn’t work for us for something that we will (potentially) like better or which has the potential (there’s that word again!) to make our life better. The new can be frightening and the old, even if I don’t like it, has the virtue of familiarity. 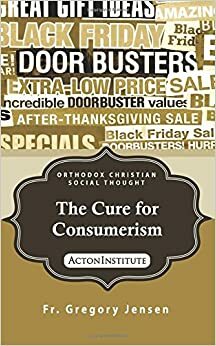 If in marketing a new product, the seller must be mindful that there “is always friction associated with switching from one product to another,” how much more so do we need to this awareness when inviting people to become disciples of Christ? Or when, as I’m proposing in these short essays, we ask people to think of the parish as a house of formation? Just like the marketer, a minister of the Gospel must take care that he does not minimize the cost of the change he is asking people to make. But priests and other in the Church will often do just that. They will minimize the cost of discipleship or of asking the parish to embrace a new model of parish life and become a house of formation. Whether in commerce and in pastoral care, why does this happen, why is the cost of change “almost always discounted” by innovator? Ironically for the same reason he is confident in his product or ministry. It is when innovators “are sure that their product”–or ministry–is “fabulous”–or the will of God for the parish–that they are most likely to “erase any such concerns” about people’s anxiety and hesitancy in the face of something new. But we need to always remember that new things are, for most of us anyway, scary. Even before we address the myriad practical and pastoral challenges inherent in making the parish a house of formation, we need to respond to people’s understandable and even praiseworthy resistance to change. Jesus tells us to count the cost of being a disciple before we follow Him (see Luke 14:25-34, NKJV). He tells us this not to dissuade us from following Him but so that, having put our “hand to the plough” we do not look back and make ourselves “[un]fit for the Kingdom of God (Luke 9:32, NKJV). One of the most scandalous realities in the Church in America is the number of converts who defect. Nominally, that number is about 30%. This means that out of a group of 100 converts, 30 will at some point leave. When we factor in that people are not only leaving the Church but joining, that defection rate is likely closer to 50% if not higher. So not only do we need to do a better job in lay spiritual formation, we also need to do a better job in helping Orthodox Christians–convert and cradle–calculate the cost of taking seriously Jesus’ call to discern and pursue their personal vocations. Part of this calculation means helping them examine and articulate their fears of following Jesus as His disciple. It also means helping them see the benefits of discipleship not only in the life to come but in this life as well. What might be a point of entry for such a conversation? What are the fears we need to address? They center around two themes: busyness and loneliness. We’ll turn to those next.